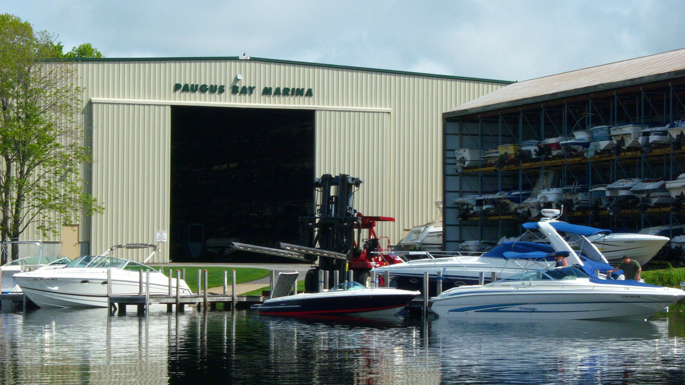 Paugus Bay Marinas state of the art valet facility sets the standard in all valet operations. Our Marina was built as a valet facility in 1995 and continues to grow as one making improvements every year to exceed our customers’ expectations. We pride ourselves in maximizing your family’s time on the water and our valet service reflects that. PBM valet exercises no restrictions or curfews and we even have instant launch with no call ahead required! We currently house over 200 boats and over 25 jet skis in our valet program and have plans for growth in the future. Please call the number below for details and availability.